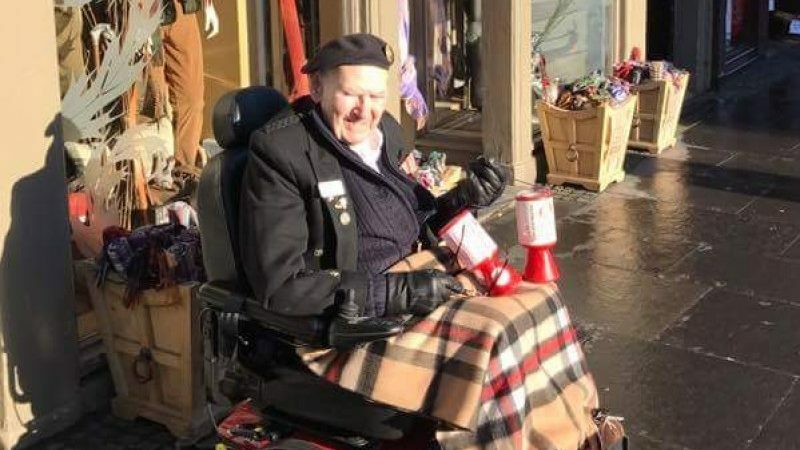 Edinburgh fundraiser Tom Gilzean is hoping that people will help him reach his fundraising target over the festive period – after a fall will mean he can’t get out on the streets himself. Mr Gilzean, has had a fall and broken his wrist, but that won’t stop him doing all he can to raise vital funds for charity. A post published on his Facebook page explained the circumstances and Tom even appeared in an online video. The post said “Tom has had a wee fall, and now has a broken wrist, but despite being stuck at home, he still wants everyone who can. “Help by donating to the GoFundMe page set up by his granddaughter Audra. Click here to be directed to the GoFundMe page.